In Photo from left to right: HFN General Manager Mark Leong, Kimo Haynes, Hawaii Petroleum, Inc. President, HOPE Services Hawaii’s Homeless Outreach Specialist Leilani Ulu, Housing Manager Angela Evans, Chief Executive Officer Brandee Menino, Housing Assistant Napua Nihipali, Homeless Outreach Specialist Leona Serrao, Director of Operations Jeremy McComber & HFN Commercial Marketing Representative Joy Madriaga, presents a check from “Fuel Up. Do Good.” Community Grant. 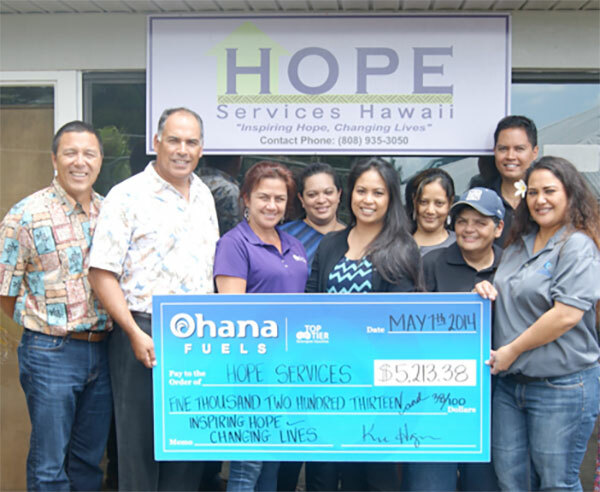 (Hilo, HI) May 7, 2014 – A firm believer in helping our local community thrive, Ohana Fuels gifts HOPE Services Hawaii, Inc. $5,213.38. 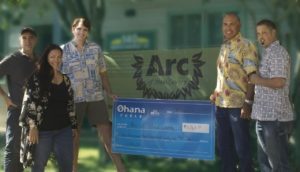 Contributions provided by Ohana Fuels will be used to assist individuals and families experiencing homelessness who may not otherwise be qualified to receive financial assistance from any other resource. 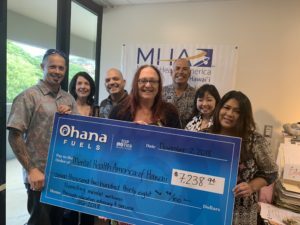 Without contributions like those from Ohana Fuels, some families could continue to struggle with homelessness for longer periods, as they may not have sufficient resources to pay for initial move-in costs like a rental security and/or utility deposit. “We greatly appreciate the generosity of President Kimo Haynes and his HFN Ohana for their contributions and support. 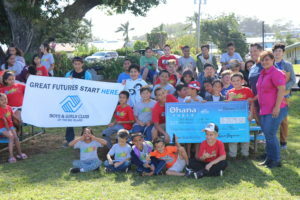 It’s a true testament of corporate and non-profit sectors partnering together to help the most vulnerable families and individuals in our community,” said Brandee Menino, CEO of HOPE Services Hawaii, Inc.
HOPE Services Hawaii, Inc. is a statewide non-profit faith based organization that provides opportunities for persons and families experiencing homelessness. Programs include outreach, emergency shelter, transitional and affordable housing. We envision a world where those who face great challenges realize their value and self worth. Ohana Fuels has four locations on Maui and four stations on the island of Hawaii. Ohana Fuels gasoline has been certified as TOP TIER™ to meet the premier standard of gasoline for optimum performance and fuel efficiency recognized by six of the world’s top automakers, BMW, General Motors, Honda, Toyota, Volkswagen and Audi. TOP TIER™ additives help clean your engine; optimize fuel economy; eliminate hesitation, stalling, and rough idling; restore optimum performance; and reduce emissions.